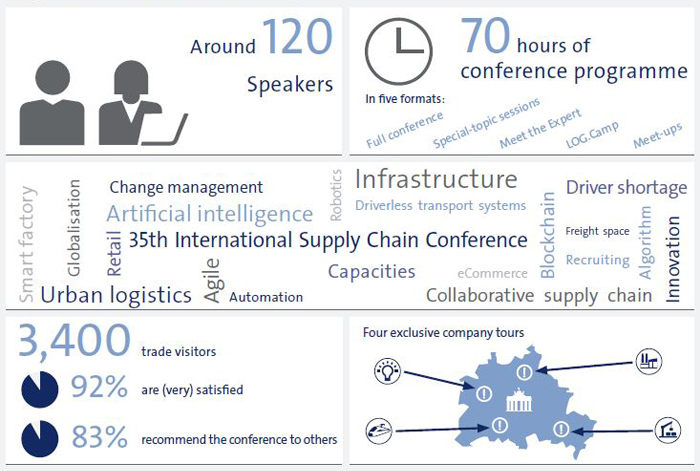 The 35.th International Supply Chain Conference took place October 17.-19. 2018 in Berlin. This years' motto was Digitalization meets Reality. The 35th International Supply Chain Conference took place October 17.-19. 2018 in Berlin. This years' motto was Digitalization meets Reality.